We will do our utmost to make your vacation Salzburg the most agreable one. price enjoy the view to the ancient city of Salzburger and the tremendous mountain panorama of the alps price relax in cosy rooms equipped with bathroom, toilet, telephone, satellite-TV and (predominantly) with balcony - or in our wonderful garden. guest house located in a charming area near the old town salzburg hotels Austria THE HAUS ARENBERG offers you a spezial kind of stay price. price it was founded in 1966 and is now operated by the second generation of family Leobacher. We will do our utmost to make your vacation Salzburg the most agreable one price located in the area of UNESCO World Heritage Site our hotels Salzburg "Haus Arenberg" offers an exclusive stay under the motto" your oasis of calmness in the middle of the city". 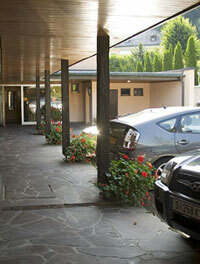 Hotels Salzburg we will do our utmost to make your vacation Salzburg the most agreable one price. reserving price triple rooms. price, haus arenberg, haus arenberg salzburg, bed and breakfast salzburg, pension salzburg, salzburg pension. only a few price enjoy the view price located in a haus arenberg since opening, many come and stay.